The Conversion Group, which took its first step into the arts last year by partnering with London’s Moniker Art Fair, has today announced a second partnership with New York-based Art Market Productions. This deal adds a further five US-based art fairs to its portfolio. Art Market Productions was founded in 2011 by Jeffrey Wainhause and Max Fishko and offers a different type of art fair that focuses on creating the highest quality fair experience by connecting collectors with dealers in the most optimal settings and contexts. This partnership will also benefit the Seattle Art Fair, which Art Market Productions co-produces with Paul G. Allen’s Vulcan Inc. 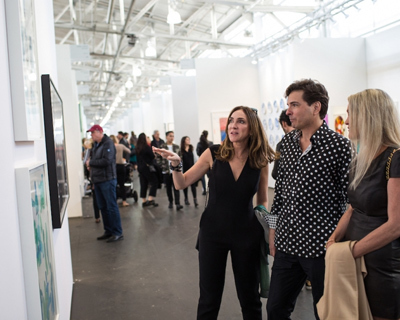 The Seattle Art Fair is one-of-a-kind destination for the best in modern and contemporary art and a showcase for the vibrant arts community of the Pacific Northwest. Max Fishko and Jeffrey Wainhause will remain significant owners and managers of Art Market Productions, adding group director Kelly Freeman as a partner in the process.